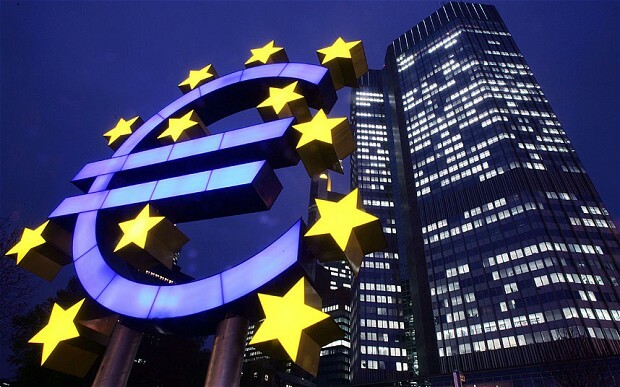 The European Central Bank’s (ECB’s) governing council will decide by the end of this year whether to greenlight a new real-time gross settlement (RTGS) system to replace the decade-old Target2 platform. “The working assumption is that it will go live by 2021 if confirmation is given,” says Sylvain Debeaumont, head of market infrastructure, management, ECB. Target2Securities (T2S), launched in 2015 and finally fully live, will be consolidated into a revamped system “to avoid silos and high cost”. A new Eurosystem Central Liquidity Management (CLM) layer – and new type of main account – will sit atop the revamped single settlement engine, RTGS and the Target Instant Payment Settlement (Tips) platform, which is due to go live by November 2018. But that is not the only benefit of the proposed new RTGS and over-arching revamp. In common with the new Tips payment platform, the new consolidated central bank money system would benefit from a multi-currency approach, so other European countries and nations outside of the eurozone can participate. The Danish krone will be added next year to T2S, for example, and be compatible with Tips. It will also focus on data analytics and cyber resiliency. This should be useful for the CLM layer. It will use ISO 20022 and will adopt a multi-network service provider model. This means various connectivity options and tech company-enabled services can be utilised on the enhanced Target Services platform. Accessibility will be prioritised to encourage innovation and easy integration and alignment with other initiatives, such as the single euro payment area instant credit transfer scheme. On the payments front, Mehdi Manaa, head of market infrastructure, development, ECB, says one of the main challenges of the Tips project apart from its “tight” implementation scheme was the requirement for 24x7x365 operation. “Low latency, high volume and availability are the other challenges, alongside resiliency and scalability,” he says as he outlines the envisaged efficiency parameters of 25,000 transactions per second, a response time of less than five seconds and “zero incident” resilience. In regard to Tips pricing, Manaa says there would be no entry or fixed fees, no account management or information fees and a maximum price per instruction of 0.2 euro cents for the first two years. “We hope the volume we capture allows us to go below this maximum price,” he adds. Debeaumont says the consolidation of the securities, collateral and cash management services from the Eurosystem was “needed” and that “common modules” to serve all of the rebranded Target Services platform was “the future”. European securities regulator ESMA has published a discussion paper asking for public feedback on the technical standards that should be used for CSDs, including registration, settlement discipline, confirmation rules, acceptance or rejection of terms, as well as access to CSDs by other CSDs and market participants. Instant payments are becoming the new normal. A draft set of 14 recommendations to promote the security of mobile payments has been published by the European Central Bank for public consultation. It has been a busy week for the banking industry. The first big news was the publication of a comprehensive health check of 130 large European banks by the European Central Bank, which was commissioned in response to the sovereign debt crisis in the Eurozone. Brussels lauded the latest investigation as the most intense scrutiny that European banks have ever been put through.